Are you searching for a reliable and efficient way to palletise your goods for transport? The team at Palletmasters have got you covered. 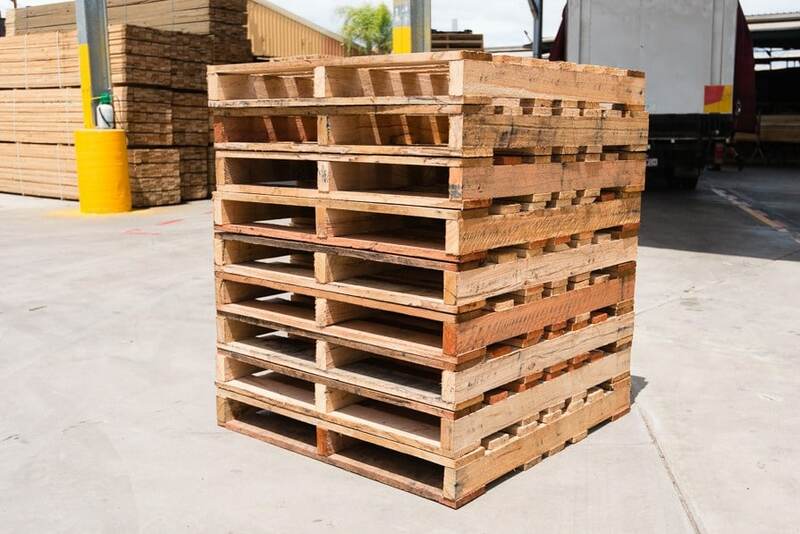 We manufacture hardwood pallets in Brisbane for local, national and international transportation, and offer exceptional quality with every wooden pallet made. Hardwood is a durable, strong and reliable choice for transportation pallets. No matter the size or weight of the goods requiring transportation, you can rest assured knowing hardwood will get the job done. The strength and hardness of wood is determined by its density. Hardwoods have a rather complex structural makeup and have pores that distribute moisture throughout the wood. This allows the grain to become dense. Hardwood has been used in transportation and construction for centuries, and has maintained its popularity due to its outstanding capabilities. If you need strong and durable pallets, then hardwood may be the material to use. They are the strongest and most durable pallets manufactured and can transport a large range of products. As a testimony to their strength and durability, several Australian mines will only accept goods on hardwood pallets. Hardwood offers unparalleled performance and ongoing reliability. You can trust that your goods will be transported safely. Hardwood is used for a broad range of applications, however, Palletmasters specialise in hardwood pallets for transportation. We source the suitable quality wood to ensure every single pallet offers stability and structural integrity. What hardwood pallets do Palletmasters have? Palletmasters have Australian Standard hardwood pallets in stock for orders that need filling urgently. The Australian Standard refers to the 150 x 25 mm lead boards attached to the bottom of the pallets. These boards allow the pallets to lock into Australian Standard Racking. Our pallets are not made from chemically treated wood. If required, Palletasters is able to heat treat your pallets for export requirements in accordance with ll heat treating regulations. Heat treating is necessary for international exportation to stop the spread of insects and disease. We are based in Brisbane, and we are able to make custom hardwood pallets for your individual needs. If you need a large quantity of wooden pallets, contact us today and we can manufacture them for you directly – there’s no job too big or too small. With over 30 years of experience, you can be confident that our wooden pallets will work best for transporting your products. If you’re interested in learning more about hardwood, or you’d like to find out if hardwood will work best for your job, contact our team today. We’re happy to discuss and explore your options to find the most suitable wooden pallets for your transportation needs.